Does my parking space affect my auto insurance? You may remember our post from last month about how postal codes affect both property and auto insurance costs. Today, we’re going to dig a bit deeper into the auto insurance category and explain why insurance rates change based on where your car is usually parked overnight. Because your parking spot is technically based on your postal code, your insurance costs will, therefore, be impacted. Does your neighbourhood have safe parking spots on the street? Are you lucky enough to have your own driveway? How about a personal garage? Do you live in an apartment building with public parking? 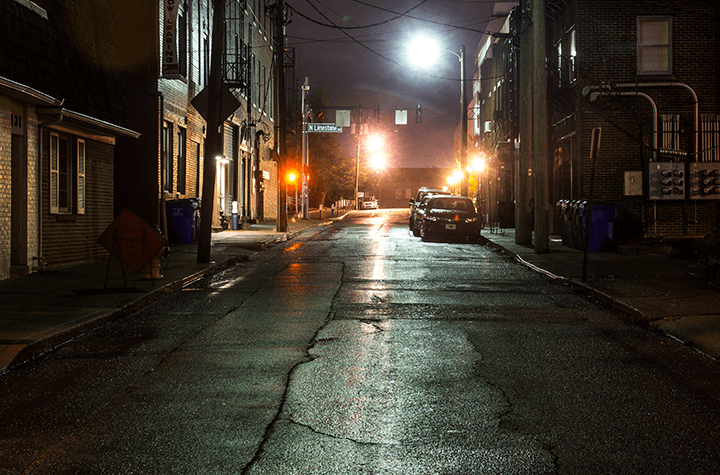 These are all questions to consider when you move to a new neighbourhood, and when you’re deciding where to rest your car at night. Postal codes tell insurers a bit about where you live, and what negative statistics go along with your area in particular. Regarding auto insurance, where you park can determine your likelihood or risk of falling victim to car theft, collision, vandalism, traffic and any crime in general. If your car is parked in a suspicious or insecure area such as a dim street or public parking garage, the chance of some sort of damage done to your car increases. I personally know (and I'm sure you've heard some sort of similar anecdotal evidence) that public parking garages are in no way the safest places for vehicles OR pedestrians. If you have your own personal garage, then you’re definitely a contender for reduced auto-insurance quotes. If break-ins, car collisions or vandalism activity is high in your area, your insurance rate may show that. Just this year in Toronto, an entire neighbourhood has been forced onto its toes in the wake of a car-vandalism spree that has seen 43 incidences of vehicular targeting since January 1st, 2018. Anything from slashed tires, to spray painting and broken windows call for an insurance claim of at least $500. Poor guys. Their neighbourhood? Mixed-income Cabbagetown. To prove to your insurance provider that you deserve a little break on your insurance rates, you just need to move your entire life to the safety of the suburbs… Sound a bit farfetched? I know. If you’d like to take practical steps to minimise your risk, you need to find a safe and secure overnight parking spot for your car. You also need to make sure your windows and doors are always locked when you leave your car alone to fend for itself. If you do live in a complex, the underground parking is going to be safer than what is available at street-level. If you do not have a personal garage, seriously consider renting one nearby; sometimes neighbours have extra space and would be happy to rent it out. If renting a space in a local garage is not an option, you need to make sure your car is always in a well-lit parking area, which can be tricky. Investing in car safety features and anti-theft devices also generate positive responses from auto-insurers. The safety and awareness that comes with having your car in a good spot overnight will save you money on car insurance and justify however much rent you may have to pay for a garage spot. Your vehicle will be dry, and your eyes will be too.